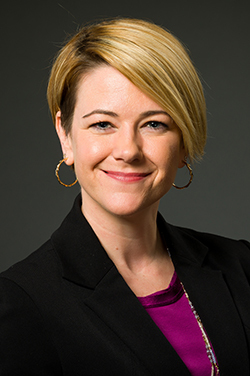 Erin is the Executive Director of the award-winning Center for the Advancement of Social Entrepreneurship (CASE) at Duke University’s Fuqua School of Business. CASE is a leader in the field of social innovation, serving as a hub for research, teaching and practitioner engagement. CASE’s work includes premier educational programming, the CASE i3 Initiative on Impact Investing, and the Social Entrepreneurship Accelerator at Duke (SEAD), an accelerator focused on scaling global health ventures in India and East Africa. In her role at CASE, Erin leads the development and execution of center strategy, establishes relationships with key constituents, oversees operations and programs and contributes to thought leadership on social entrepreneurship. Her work has been published in the Academy of Management, Learning & Education; Huffington Post; NextBillion, DevEx, Social Impact Exchange, and she most recently served as the lead author of CASE’s Scaling Pathways series, in partnership with the Skoll Foundation, USAID’s Global Development Lab and MercyCorps. Erin has been at Fuqua since 2009, having played a variety of roles within CASE as well as developed the strategy for and launched a new position within the Fuqua Career Management Center focused on social impact careers. Prior to Fuqua, Erin worked in the nonprofit, public and private sectors including consulting with government and nonprofit clients at Booz Allen Hamilton, helping to develop public-private partnerships at the U.S. Agency for International Development (USAID), working on private sector development issues at the World Bank, and working for a nonprofit think tank in Washington D.C. She earned her BA from Duke University and her MBA from Stanford University’s Graduate School of Business. Erin was recognized as a “40 under 40” awardee by the Triangle Business Journal in 2014. You can follow Erin on Twitter @ErinWorsham.